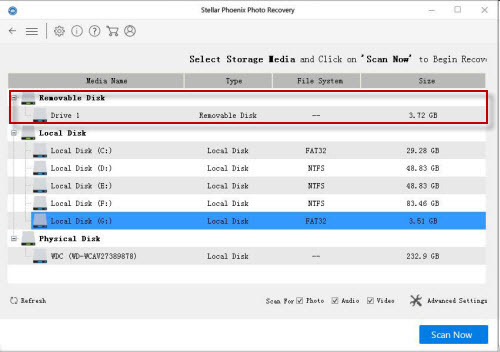 When accidentally deleted photos from your Window Phone 8, Nokia Lumia memory card is crashed or suddenly lost all recording videos it is possible to get deleted videos photos, music back from Windows Phone 8. Because when you deleted files, they become invisible, but only the place they occupied is marked as reusable for new files. So stop using your Windows Phone 8 and choose a professional recovery software for undeleting. 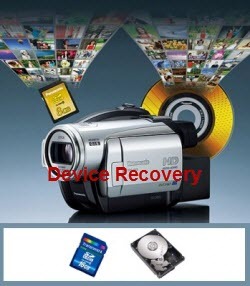 First, stop using your Windows Phone 8, then download install and run the Photo Recovery or Photo Recovery for Mac which can recover/retrieve/restore all deleted photos, videos from Windows Phone 8 like recover deleted photos from Nokia Lumia 1020, Nokia Lumia 920, Nokia Lumia 820, HTC 8X, etc for both Windows and Mac users. 1: Connect your Window Phone 8 to computer via usb or access the storage card via a card reader, and launch the recovery software and click “Start Scan”. 2: Then you can view the Windows Phone 8 drive (usually is “Removable Media”). Select the drive and click “Scan now” to start finding the lost files. 3: After scanning, preview and select recoverable photos and videos which you need. Then click “Recover” to start. Note: Don’t save the recovered files on your Windows Phone 8 again, for safety’s sake. Add your comment below, Be nice. Keep it clean. Stay on topic. No spam. How to retrieve deleted photos videos on Canon PowerShot?